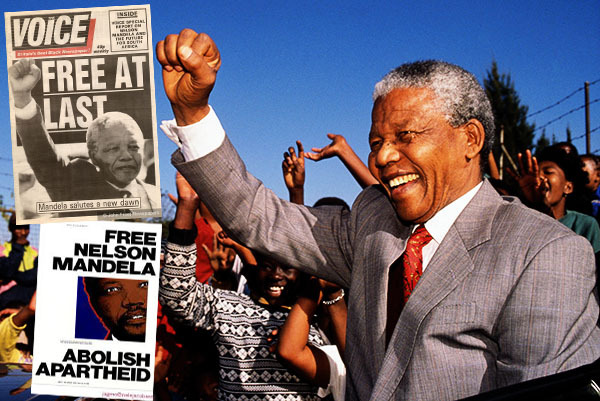 TheBlueGuerilla: Nelson Mandela: Revolutionary & Freedom Fighter Dead Aged 95. Nelson Mandela: Revolutionary & Freedom Fighter Dead Aged 95. ANTI-APARTHEID revolutionary & former South African President Nelson Mandela has died at the grand age of 95. Born 18 July 1918 Mandela founded the the ANC Youth League in the 1940's and soon became a leading figure after working as a lawyer and being arrested multiple times for seditious behaviour. 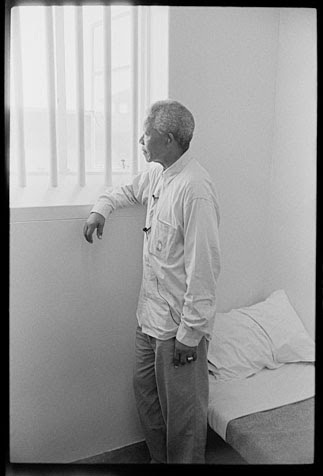 Mandela faced many struggles during his life, the biggest probably being incarcerated for 27 years. The crime was sabotage & conspiracy after leading a bombing campaign against government targets, after initially being in support of non-violent protest against the White Supremacist Afrikaner Nationalist Government that controlled South Africa and had implemented Apartheid laws since 1948. 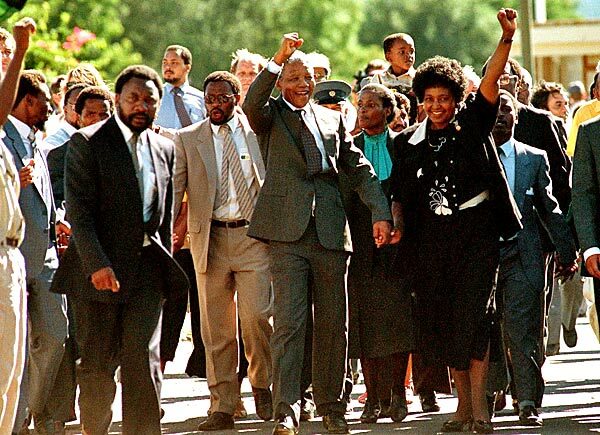 Mandela was released on 1990 after an world-wide campaign and served as ANC President between 1991 - 1997. Mandela set about dumping the racist apartheid laws with the South African President at the time through negotiation and set up the first ever multiracial elections that saw Mandela elected President of South Africa and formed a Government of National Unity. Nobel Peace Prize Winner in 1993, Mandela chose to serve one term as South African President and focused on charity work thereafter. Nelson Mandela, the revolutionary freedom fighter who never gave up fighting injustices will be sorely missed by South Africans, and the rest of the world. Rest in Peace.